Useful compilation for Squid-based proxies. TCP_HIT – A valid copy of the requested object was in the cache. TCP_MISS – The requested object was not in the cache. TCP_REFRESH_HIT – An expired copy of the requested object was in the cache. cache. Squid attempted to make an If-Modified-Since request, but it failed. The old (stale) object was delivered to the client. TCP_REFRESH_MISS – An expired copy of the requested object was in the cache. 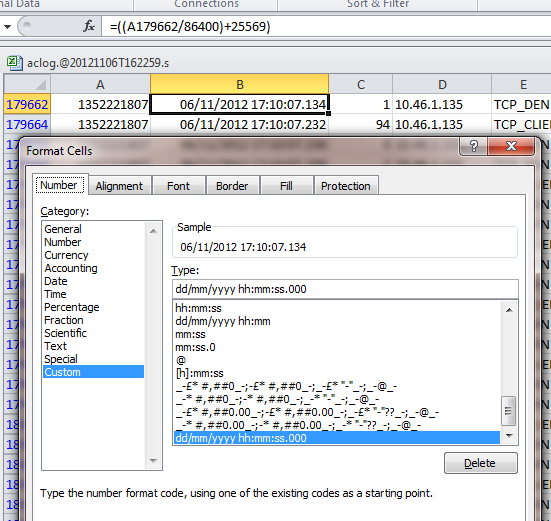 TCP_IMS_HIT – An If-Modified-Since GET request was received from the client. A valid copy of the object was in the cache (fresh). client. The requested object was not in the cache (stale). accessed. TCP_DENIED Access was denied for this request.